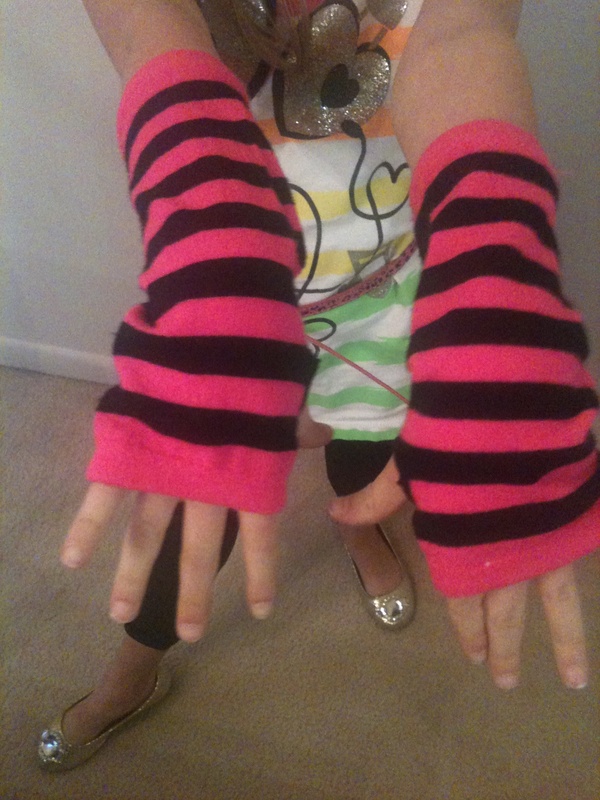 Sissy’s been wearing striped hot pink gloves, the central feature of the costume, around the house for weeks. She even lets Piper try them on. It’s intoxicating. Piper declared herself ready for the stage. “I can do it, Sissy. I can. I know how.” And Sissy would have let her. Alas, the fallen Dancing Queen rallied in the final hour and joined her friends. The show was a success. The Queens were a hit with their neon gloves and matching belts. Piper was a stage mom from the audience, mouthing the words and performing the choreography from my lap. Who knows? They’ll be together. That’s what matters. With or without neon gloves. This entry was posted in Antics and Adventures and tagged abba, lip syincing, neon gloves, piperism. dancing queens, talent show by melissa.scholes.young. Bookmark the permalink. I’d be in the front row if I could! It was quite the show. I’m always amazed at the guts my girls have. Dancing Queens! For some reason, I always read your blogs together. I feel it is my obligation to introduce the two of you if you haven’t been already! Thanks for the introduction! I’ll go meet Alice and her blog. Looking forward to it! i love that article!!! It’s SOO cool!!!! Glad you love it, Bruna. You’re a true Dancing Queen! When I was performing up there, I knew Piper was cheering for us on every step!! I love this blog!!!!!!!!!!!!!!!!!!!!!!!!!!!!!!!!!!!!!!!!!!!!!!!!!!!!!!!!!!!!!!!!!!!!!!!!!!!!!!!!!!!!!!!!!!!!!!!!!!!!!!!!!!!!!!!!!!!!!!!!!!!!!!!!!!!!!!!!!!!!!!!!!!!!!!!!!!!!!!!! !